The year is at an end. Before we start 2018 with more vigour than ever and face our future challenges, we would like to look back for a moment and rank the most important moments of 2017 for Captio as a company, as a platform and as a project. Without a doubt, this has been a great year: it’s been Captio’s fifth year! 1. This has been Captio’s fifth year. Captio celebrated its 5th anniversary in 2017. Looking back, we can see just how much we’ve evolved as a project. Today we are the leaders in the Spanish market and we’ve moved decisively towards internationalisation. We have over 500 clients of all sizes and from all industries. We are approved by the Spanish Tax Agency, and this year we also received a favourable rating in Italy. We have also grown our facilities as a project, opening new offices in Madrid and Barcelona, whilst moving into new, modernist facilities in our headquarters at Tortosa. What truly defines us, however, is the great human team behind us. We’ve doubled our staff every year since 2014, reaching 60 employees in 2017. 2. Captio is also in your multifunction printer. 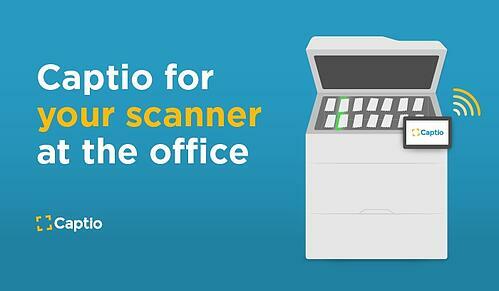 In October we announced a remarkable integration: the possibility of sending company trip expenses from your scanner or multifunction printer to Captio accounts. This way, all of our customers can link their devices to Captio and ensure they meet Tax Agency requirements for certified approval. 3. Digitisation certified in Italy. 2017 has been the year for gaining strength in the Italian market. In September we received a favourable rating from the Agencia delle Entrate certifying that Captio captures comply with Italian regulations. 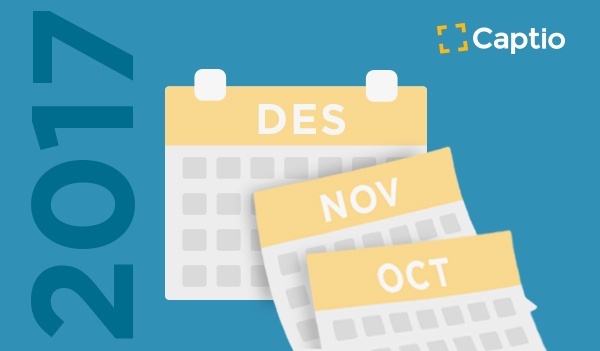 In November we recruited a Country Manager with extensive experience in the software distribution industry: Giuseppe d’Apolito. With these ingredients, and full of energy, we are moving forward with our goal of making company expense management more efficient in the Italian market. 4. Certification under security standard ISO/IEC 27001. 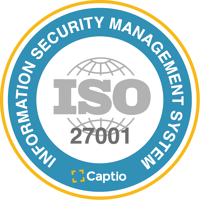 Spurred by our pledge to ensure the utmost reliability, security and regulatory compliance, in June Captio was certified under the international security standard ISO/IEC 27001. Our compliance with this standard – certified by an official external auditor – proves that Captio applies internationally recognised processes and best practices in its infrastructure and process management. Specifically, it shows that Captio has heeded the recommended guidelines and principles to start managing its information securely, and to continue and improve that process. 5. Attendance of Mobile World Congress 2017. This year we participated for the fifth time in the biggest mobile technology industry gathering in the world: the Mobile World Congress. Those were a hectic few days, but the result was very positive: our stand received many visitors, we were able to explain all of Captio’s advances, and we met people interested in using our solution in their company, as well as interesting providers and collaborators. Without a doubt, the contacts we picked up in this edition is one of the best things we got out MWC 2017, along with media coverage and being able to surround ourselves with major players.